This is a 1956 Ford® F-100 Pro-Touring Clear Body for Short Course. Do you have the need for speed? 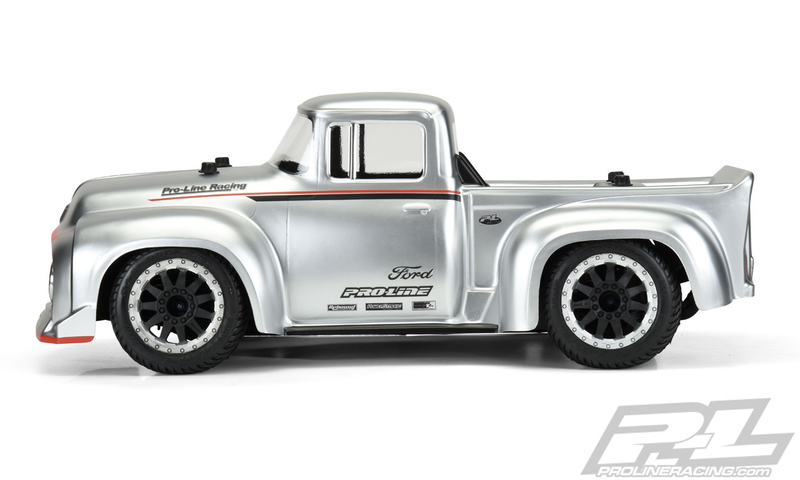 Then check out Pro-Line’s new Ford® F-100 Pro-Touring body designed for slammed retro street truck racing! This old-school F-100 Pro-Touring body features incredible scale details while being proportioned to fully cover the tires of your Short Course truck. Combine the body with Pro-Line’s 2.8″ Road Rage Tires mounted on F-11 2.8″ Wheels to get the ultimate in scale retro street style and performance. 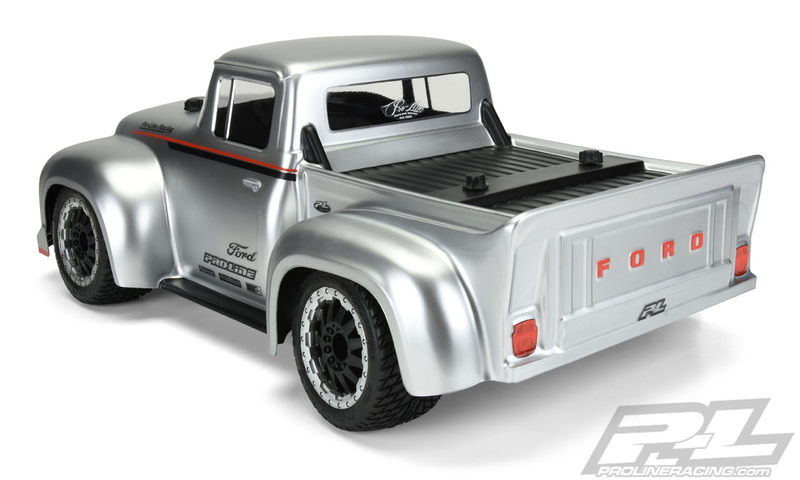 The Ford® F-100 Pro-Touring body is a single cab truck with the iconic old-school grill, headlight and taillight detail that you have come to expect from Pro-Line. The body even has a built-in rear spoiler! 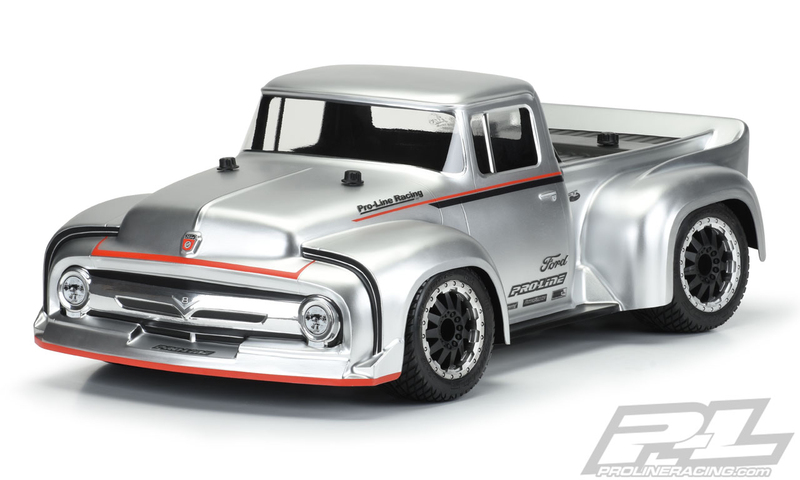 Transform your Short Course truck into a true street killer with the new Pro-Line Ford® F-100 Pro-Touring body today! 2.2″/3.0″ Street setup – If you want to use standard short course wheels and tires you will need to have ProTrac arms (or arms that are 103mm in length) and pair with Slash® Rear Wheels (not ProTrac) to increase the track width of your truck. This will push your wheels out to match the width of the fenders. Street tires available: Street Fighter SC or Prime SC 2.2″/3.0″ tires.